It’s easy to get caught up in life, whether it be work or entertainment, so much that it starts to eat away at your sleep. 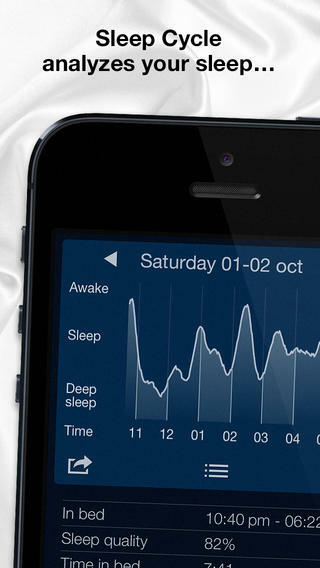 In this article we want to bring to your attention some life-changing apps that will make it easier for you to wake up, and in the process more conscious about getting enough sleep. This app stays open on your phone while you sleep and it tracks your sleep cycles by the amount of times you move or talk. Before going to bed you have to place your phone on your bed corner so that movements are recorded, but other than that it’s a pretty simple process. In addition to recording your sleep cycles, sleep quality, noise distractions, and anything you mumble during the night, Smart Alarm Clock will also wake you up intelligently. What we mean by waking you up intelligently is that it will go off when you are in the sleep phase closet to being awake. If you’ve ever slept 6 hours and woke up feeling refreshed, and then some other day woke up after 7 hours and felt terrible, it’s probably because you woke up during different parts of your sleep cycle. 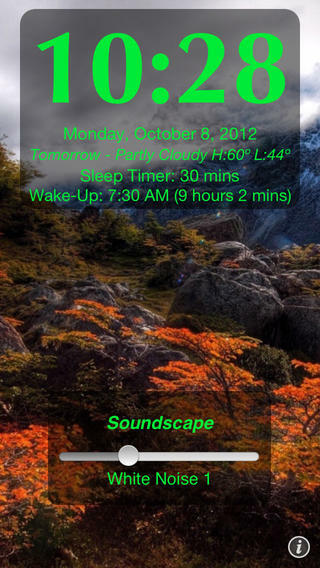 Having this app intelligently wake you up sounds like it might make you late for work but it doesn’t. You get to set the time you want to wake up, but all the app does is wake you up 15-30 minutes earlier if it thinks you’ll benefit from it. We’ve reviewed and used this app in the past and it does wonders. For more information on it read our report here. 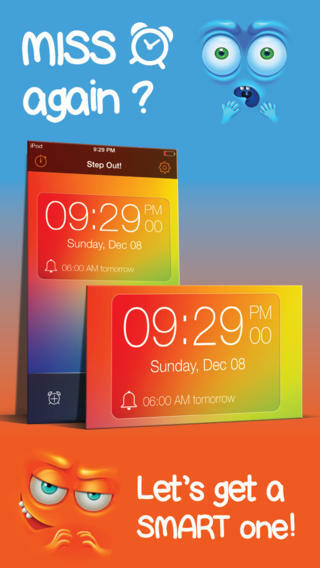 Using Smart Alarm Clock is also fun because you can play-back anything you said while sleeping. Most people think they don’t sleep-talk, but after recording at least 10 nights you’ll find some pretty funny sleep-talk snippets. This app doesn’t record all the time, it only records when it hears noises or talking. Another feature of Smart Alarm Clock is the ability to play soothing nature sounds before sleeping, and soothing sounds when waking up as well. 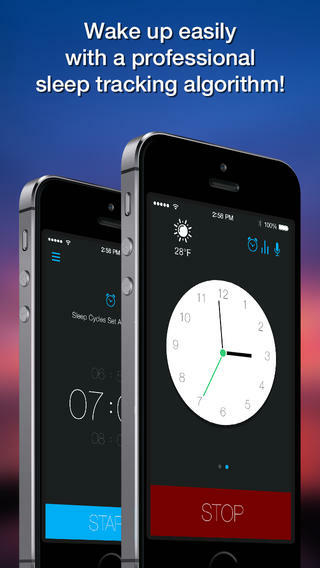 This app does everything that Smart Alarm Clock does except for recording sleep-talk and sounds throughout the night. 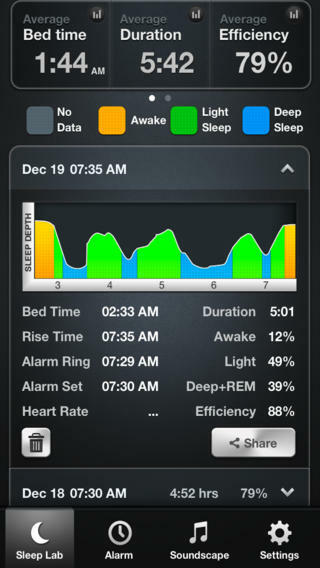 It has a much better looking user interface and a great sleep quality graph. With Sleep Cycle Alarm Clock you can also jot down notes about your night, like having ate or drank too much before sleeping, which allows you to correlate certain things to sleep quality. Other than recording sounds made while you sleep, Sleep Time Alarm Clock also does everything that Smart Alarm Clock does. But it does it all for free. The only downside to this free app is that it doesn’t allow you to correlate activities before sleeping with your sleep quality like Sleep Cycle Alarm Clock does. This app features no ads which is really great for a free app. It also has the same features that Sleep Time – Alarm Clock does except for waking you at the lightest phase of your sleep cycle. This app doesn’t look as good as the other ones, but it has some interesting features like being able to save different alarms and nap durations, VoiceOver accessibility support, easy-to-use flashlight mode, gesture controls, and much more. Yocto Alarm Clock’s appearance may be disheartening but its users swear by its functionality. What a ridiculously long and unnecessary name! Once you get past that though you’ll be able to enjoy Step Out Of Bed for its usefulness. Accomplishing these tasks will get your brain thinking and will make it impossible for you to just turn off your alarm and fall asleep while still in bed.